The meeting was called to order by President Ken Childres at 2:00 P.M.
Josh Swift reported that the Special Awards will be finished and in his hands on 8/3/11. Brianna Childres reported that the vender of the medals has confirmed the order with a promise of completion and delivery of the medals within three weeks. 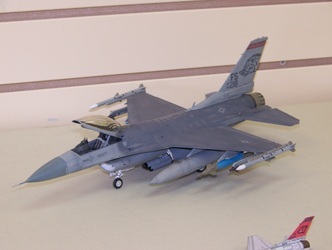 The Modeler of the Year vote will take place during the August meeting with the results announced and plaque given to the winner at the September Meeting. This breaks from a previous practice of awarding the plaque at the contest. Since the award is more about the family of the club and the awards ceremony at the contest is long enough as it is we felt it would be better to award the plaque at a meeting. Our desire is to insure the recipient receives enough attention to make the award as special as possible. The secret ballots have been prepared and votes have already started coming in via email. A regular attendee recently expressed concern about the advertising by the club of an upcoming railroad event. The Club has had a practice of being supportive of the general modeling community by advertising upcoming events for different organizations. This may include organizations who do not necessarily build scale models. This assistance is provided without any expectation of reciprocity but because we desire to be supportive of other organizations and hobby shops. The E-Board members do not believe that our decisions are always correct and desire any club member or regular attendee who has a concern to contact any one of us. Our preference is that the concerned person send us an email that is ccd to all members of the E-Board and with the concern all of the reasons for the concern. If any of the E-Board members desires further clarification, more information will be sought. The question or concern will be addressed at the next E-Board meeting and published in the E-Board Minutes, such as this one. There was a generally positive response by the ten people who participated in the test run of the live streaming of the last club meeting. There were some concerns about not being able to see the models during the Show-N-Tell portion of the meeting and some sound issues. 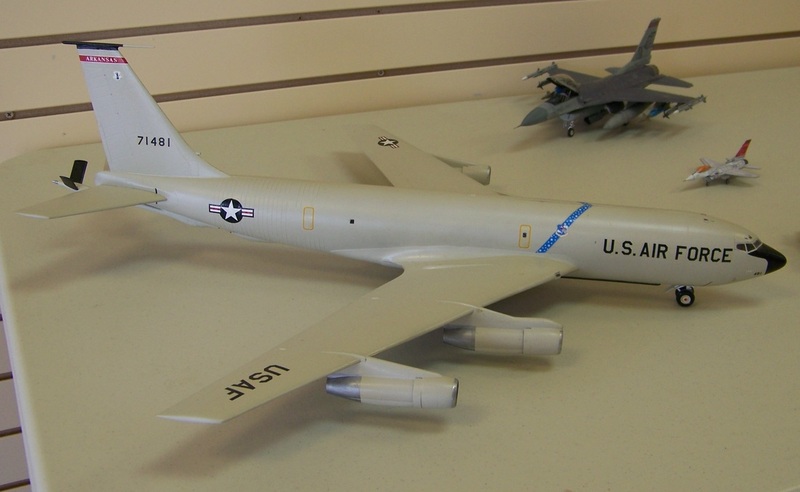 The sound issue has been rectified and the viewing of the models during show- and-tell can be rectified with a web cam. We are going to continue live streaming for a trial period of three-to-five months to assess the interest and viability of live streaming. The assessment will be presented to the club to determine if we want to continue the live streaming process, what it will take to continue, and the personnel and equipment requirements to sustain live streaming in the future. We see this as an opportunity to include more of the modeling community in our local meetings and to be a model club for people who are unable to physically attend. We discussed setting up a twice yearly modeling seminar that would be conducted outside of club times. The seminar would be a “hands on” modeling experience where each seminar attendee would work on the same model with the same products as the presenter of the seminar. 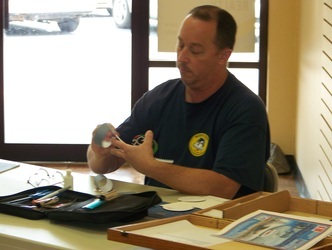 The seminar would be a step-by-step instruction where seminar attendees would do what the presenter is doing to complete a variety of modeling techniques so when the seminar day is complete; attendees would leave with a finished product in their hands. Club members and people from the general public would be welcome to attend the seminar. There would be a charge to cover the cost of materials, venue, speaker, and a donation to CASM. AK Interactive has hosted such seminars in Europe with great success and it seems to be a good method to try out different modeling methods with someone who understands and can present the techniques in step-by-step method. We need articles from members for the first and following editions of the electronic based Scratching Post. There are members currently preparing articles but you can never have too many. It was suggested that the Scratching Post also provide links to the CASM website and Forum with a brief description that summarizes the different WIPs and pictures from the latest meetings. 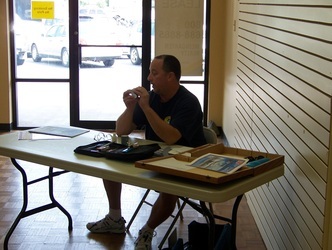 The club Forum averages about seven visits daily. Fellowship within the club can increase during non meeting times through use of the Forum. However, there needs to be items on the Forum to view before more people will make the Forum a regular stop. We will be encouraging club members to start posting WIPs and completed works so that there is more that can be seen on the Forum. There has been an increase in activity recently thanks to articles from Chris Luna, Mac Miller, Mac McGinnis, Lloyd King, and Tom Brown that have led to some fun exchanges and discussions about models. The more people post the more interaction there will be. To assist club members in posting there will be a series of demonstrations with the focus on using the club Forum. 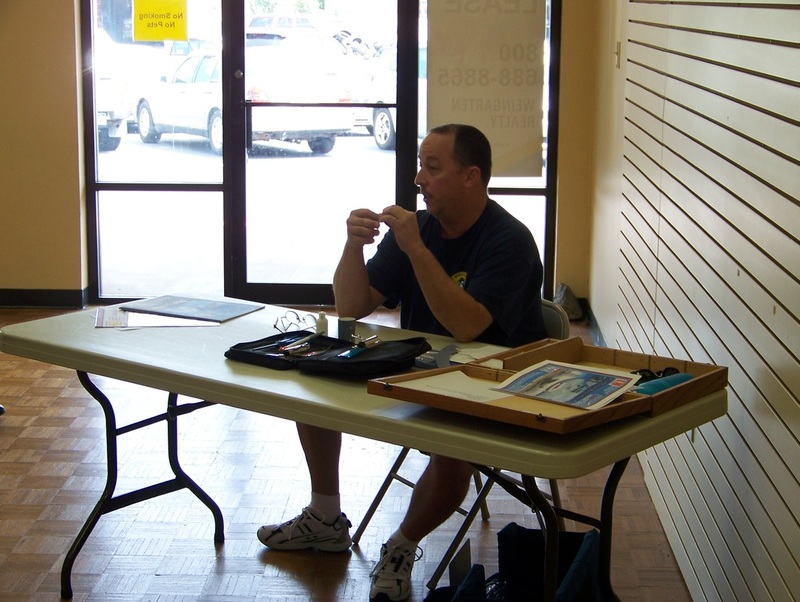 In August, Ken Childres will show a low tech way to photograph models; September and October, Steve Wilson will present how to write articles and WIP pieces; and in November Brianna Childres will show how to put all of the pieces together to post on the Forum. Today’s meeting was streamed over the web through the club website. Ten people followed the meeting via web streaming and all future meetings will be streamed via the club website! Wooden plaques for the contest are in and were shown to the club for review. They are very nicely engraved and very beautiful plaques. The acrylic plaques and medals have been ordered. Daris Long moved and David Stillwell seconded a motion for the club to purchase the remaining awards which cost approximately $675.00. The motion passed. Brianna Childres: Brianna Childres was nominated based on the large amount of time she has spent this year revamping the club website and forum; creating a Scratching Post Blog page; and coordinating the Contest Committee. The Contest Committee duties has required her to spend countless hours in both verbal and written communication with venders, sponsors, and IPMS. The Contest Committee is ahead of schedule in their preparations for the contest this year when compared to previous years. Joshua Swift: Joshua Swift was nominated due to his participation in the after-school program where he brought modeling to school children who otherwise would not have had access to it and his ability to obtain the trophies for this year’s contest at a markedly reduced price when compared to last year’s cost. Daris Long: Daris Long was nominated due to his participation in a large number of club activities as well as modeling related activities in the community. Daris is a member of the Contest Committee where he has been instrumental in refining the judging criteria and process, put on a club demonstration, made trophies that acknowledge our deceased club members and the Modeler of the Year, participated in all group builds when few others have, presented numerous models during club meetings, has the Armor SIG at his home, and has presented two classes at the Pulaski Tech Model Class: Dioramas and Making Armor Models. He also reaches out to new people attending the club meeting, making them feel welcome. Ron Leker: Ron Leker has also been instrumental in providing programs for children to learn how to model. In addition to the after-school program presented with Josh, he also hosted children’s classes at Hobbytown USA. As a member of the Hobbytown USA Employees, Ron has been instrumental in talking with a large number of people who eventually became new club members. The club has grown in number thanks to Ron’s work of encouraging people to come to the club meetings. Lloyd King: Lloyd King was nominated due to his participation in a large number of club activities. He is a member of the Contest Committee, has put on a club demonstration, participated in all club group builds, and has build close to 40 models for the USS Lexington Museum in the name of CASM which has earned CASM a plaque at the museum. Without Lloyds work, CASM would not be acknowledged at the Museum. Lloyd also regularly works with the airplane guys on SKYPE and has friends all over the world in the modeling community. Choosing between these deserving individuals is going to be very difficult. Voting by written ballot will take place at the August Meeting. If any member or regular attendee is unable to attend the meeting but would like to cast a vote, please email Tom Brown (somasaab@yahoo.com) with your vote since Josh is one of the candidates for the award. The winner will receive a nice plaque and their name will be added to the cumulative Modeler of the Year plaque. Please take time to go to IPMSUSA’s website IPMSUSA.ORG and vote for the national executive board and amendment changes to the by-laws. 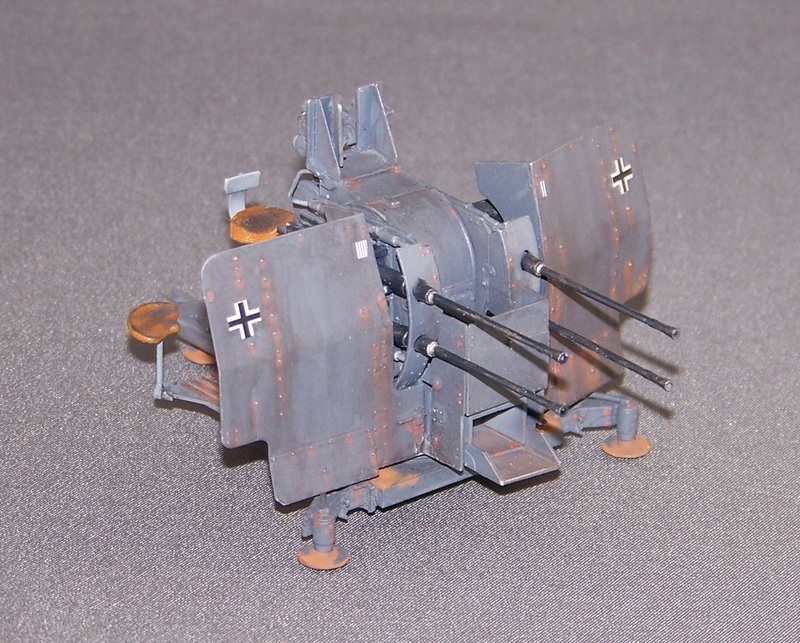 It is very important for all IPMS members to vote and be a part of the process that shapes our hobby. Ken Childres encouraged club members and regular attendees to obtain sponsors for the upcoming CASM show. Sponsors receive website advertising and a link to their website through the CASM Webpage and Facebook page. There will also be a display at the contest where information, business cards, and pamphlets will be made available for all of our sponsors. Remember, the contest is coming quickly and time is of the essence! The Scratching Post newsletter has been reformatted as a web blog page. This format change has the benefits of simplifying production and improving the quality of the photographs included in the newsletter. 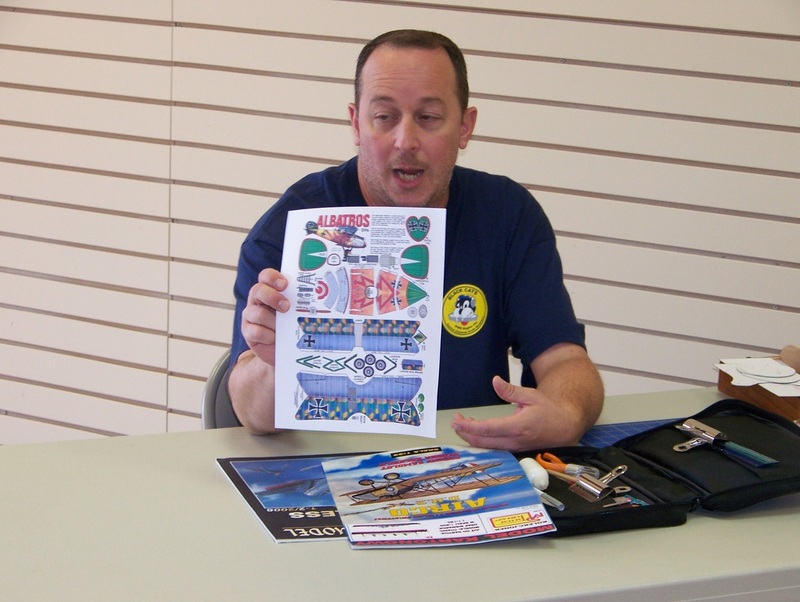 CASM member Mike McEllaney (you know, UK Mike) has agreed to be the coordinator and moderator of the blog. We need articles and submissions for the blog. There is a tab on the club website where all submissions may be placed. Club demonstrations during the next three months will be about photographing models, writing about models, and posting on the club forum to facilitate club members in providing Mike articles for the newsletter and to increase participation in the club forum. 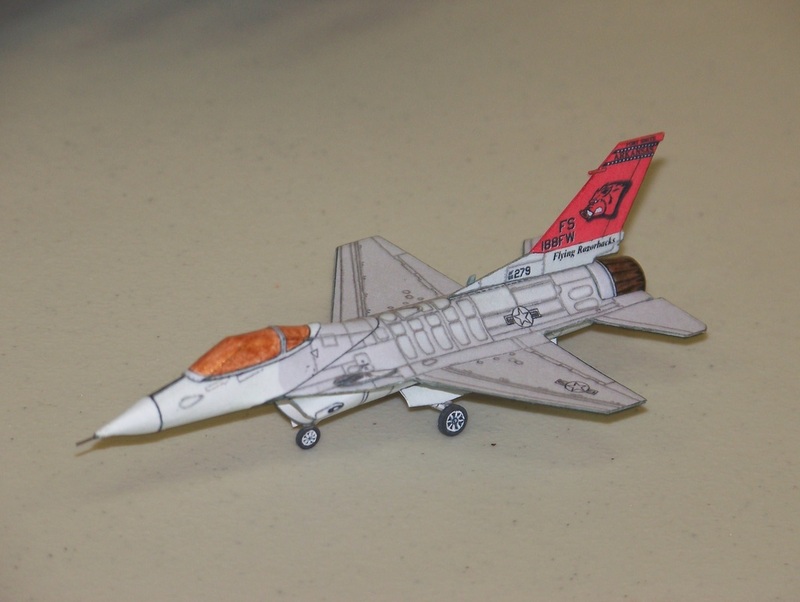 Ray Smith presented a demonstration on paper models in general and, more specifically, methods used in their construction. Nicely done Ray! 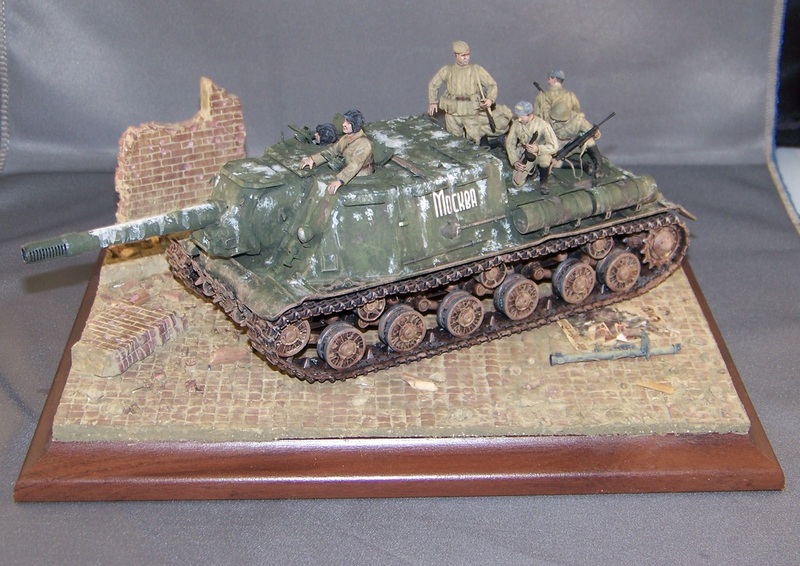 Rick Knapp: presented his completed diorama and a WIP JSU 152 with figures and a previously completed Jagpanther. 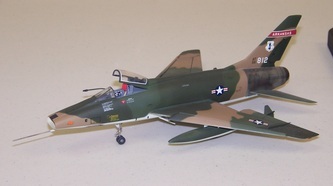 Dave Stillwell presented a F-101 Voodoo. Daris Long presented the USS Virginia CGN-38 that he plans on turning into the USS Arkansas. 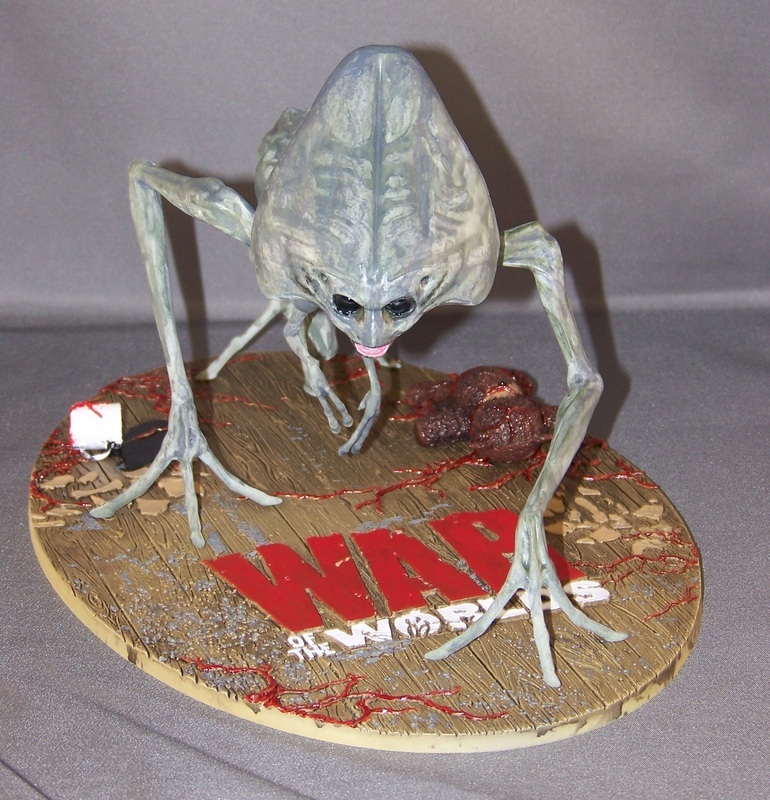 Richard Buzbee presented and Alien by Pegasus from War of the Worlds. 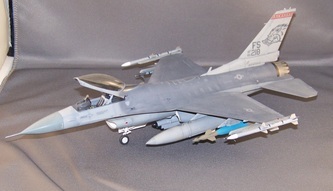 Lloyd King presented an Arkansas F-16. Mac Miller presented individual parts of a diorama commemorating Kelly’s Heroes. 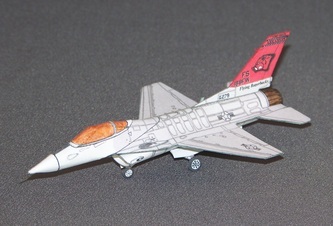 Chris Luna presented a Viper MkII from Battlestar Gallatica and a Nissan 300 ZX Turbo. 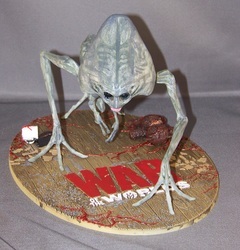 Cliff Bullock presented a Verlinden Street Fighter Diorama base. Joshua Swift presented a T-34 Russian Tank by Dragon that is a WIP (What! a tank!). Joe Swift presented some remarkable golf balls that he carved into faces. Awesome! Rusty Nail presented three WIPs: Dark Magician (female fantasy figure) Frankenstein (he also described a technique to build texture in the skin), and an Albatross DIII by Wingnuts (What! an airplane!). 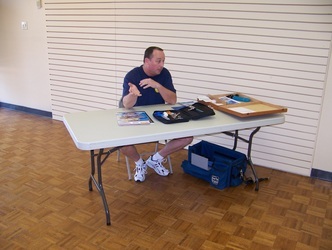 Noel Lawson presented a Sheriff from the “Streets of Laredo” figure series. 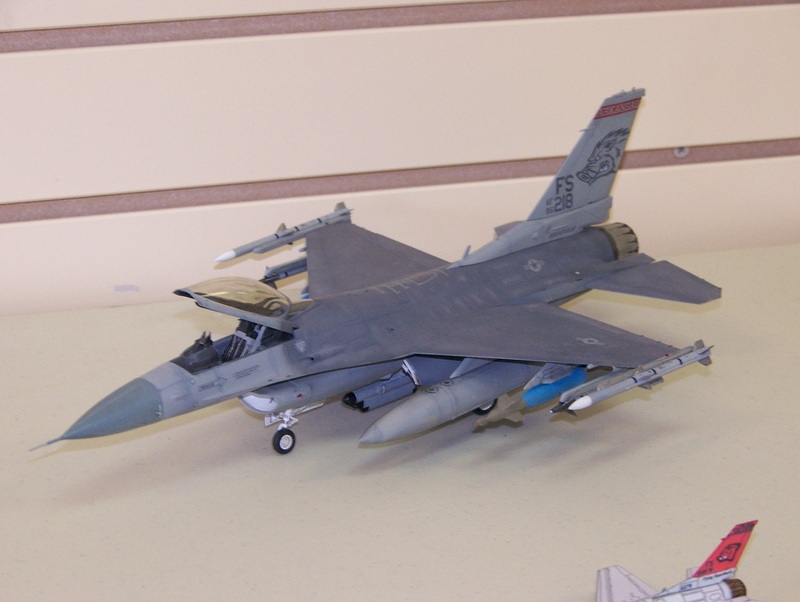 Ray Smith presented a very small Arkansas F-16. 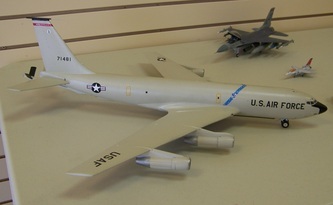 Sam Macheak presented a C-135 FR and a trumpeter M1135 Stryker. Ken Faucett presented a Revell Gypsy Dune Buggy and Gran Tourismo. Ken reviewed the E-Board meeting minutes and recommendations from the E-Board. 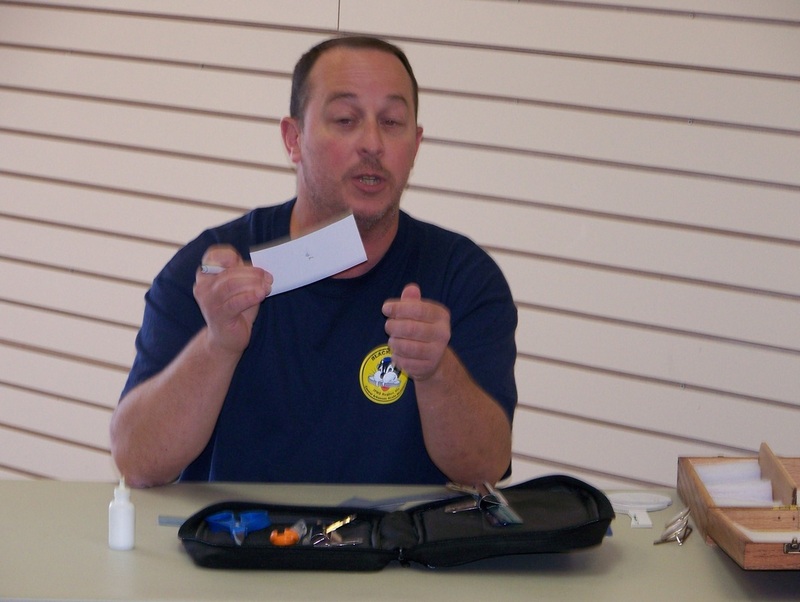 Daris requested that a portion of the August meeting be used for teaching the Club Contest Judging criteria to the club members present.